There's a new update for the insanely addictive battle royale Tetris 99 now available. Version 1.2.0 adds a new online disclaimer message, low and high hard drop sensitivity settings and a new win screen, which the majority of players will probably never see on their own screens. We have implemented a system that grants points based on place ranking while an event is ongoing. Have you won a game in Tetris 99 yet? Tell us down below. Best I've done is 2nd, but I've only played for about an hour. To me this game feels exactly like ordinary Tetris, except after a while your screen randomly fills up and you die. Wonder what the hard drop sensitivity is. The last few times I played I’ve had some unexpected drops. I wondered if my new 8 bitdo controller was bad. I've played tetris since I have memory but I've only gotten 1st twice. I'm used to old tetris without t spinning and perfect clears mechanics but learning those made me love it even more. I have actually won twice in the game. And I really think it's one of the best online games of the year. Tutorial to learn the actual rules though?? I don't know what the low sensitivity option is supposed to do, but it's not helping me avoid accidental hard drops any more than before the update. @TheOpponent I wonder if you have to hold it longer to drop or something... Well, if you figure it out do tell! My pro controller is ruining the hard drop function, as the d-pad is making the wrong input: sometimes it thinks I'm pressing up when in reality it's left or right. As I understand there are a lot of problems with the pro controllers d-pad and left analogue stick (sometimes characters in some third person 3D games can start running in a direction all by themselves and sometimes the menu screens jumps around). What? You can win in this game? I have the same problem with the pro controller d-pad, On Tetris 99 as well as on Puyo Puyo Tetris. It's garbage. I just stick with the joy-cons. Never finished higher than 5th. Maybe someday. @Quarth For Tetris 99 I use the Joy-con in the grip. The 4 direction buttons are perfect for Tetris. It's near impossible to play to a good standard with the Pro controller. People bought the Switch Pro Controller to play games with a digipad since the Joycons don't have any, and now they're telling me you can't even play Tetris with it? Is the Gamecube Controller really the only dependable Switch Controller? They're spoiling us. Now, is there any chance of, you know, any actual instructions on how to play the damn thing properly? @Heavyarms55 I know your pain. I've only managed to place 2nd. @Kirby-in-Kirkby It's Tetris, clear lines to send "garbage" to others and send enough of this garbage for them to KO. Also clear lines to avoid getting ko-ed yourself. Use chains, 1-4 lines, t-spins, back-to-backs to increase the amount of garbage you send. Love how you say that with the automatic assumption everyone understands all those terms. Chains? T spins? Back to backs? The highest I managed was 10th on my first attempt.Now I can't get higher than 30!But still I won't give up,this game is awesome. I only won three times in total. And can someone explain what hard drop sensitivity is? @60frames-please that's such a good idea. Some kind of ranking or screen for getting in the top ten etc etc. just to mix it up and it's not difficult to create eh. Chains are combos where you are clearing lines constantly. It does not matter how many lines you clear, as long as each piece that drops clears a line. Back-to-Backs are similar to chains, but are only when you do two or more "difficult clears", which is typically at least 3(Unsure?) or 4 lines (Tetris), in a row. I hope this helps a little further. 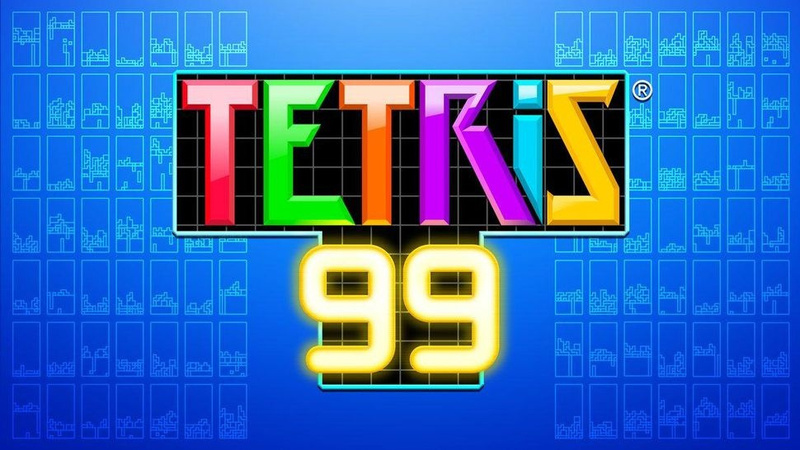 Anyway, good to see Tetris 99 slowly getting updated. I have 5 1st place finishes so far, so I should hopefully see the new screen on my TV soon. Ha ha ha, ahhhh... winning. Yeah, about that. I've gotten 6th, 8th, and 11th. I'm sure with enough persistence I'd finally land 1st, but honestly I play it to have fun. I've made the struggle the fun part--Play for several minutes, then put it down. 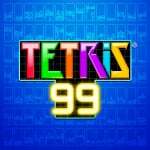 Tetris 99 is by far the best battle royale I've ever played and the only one I've wanted to keep playing after 10 mins. I've played 759 games with 21 wins. Hey, what does a red KO badge mean? I'd never seen one until this morning. All of mine are yellow but one guys was red. My guess is the person that knocked me out will have a red KO badge but not sure. I start using the analog stick by mistake and during the fluster I press up on d-pad. This is a welcome change! I won enough to win gold coins on the recent tournament. However, I've yet to play the game again in any meaningful way since then. I would like watch other games once I die. There's been games when I thought I was doing great and "BOOM" my screen is filled. Then I squint and watch the little screens on the side wishing I could watch the person who just KOed me. I would also like a single player mode and duel local mode like in classic Tetris. @SKTTR I don't have any problem playing Tetris with my pro (XC2 edition), but on the input config if you roll left and right rapidly it will sometimes have an up input. Hasn't ever happened in a game though. @SKTTR The only controller you want to use for Tetris 99 is the Joy-cons that come with the console. They don't have a connected d-pad, just individual buttons, so you can't accidentally do a hard drop. I've gotten 2nd quite a few times, but never 1st. You can BS your way to second as other people fight it out. But once there, I have to actually KO someone who is good. @Samwise7 Yeah, and even for low ranks. Last night I got 90th, 85th, and 80th places! I think sometimes it dumps me in with a bunch of crappy players and that's how I almost win. It might not be the best idea with the Tetris game, but I like how I can avoid playing ranked matches in Splatoon 2. I can feel good about my poor Splatoon skills in the lower pool of players! Hori left joy con is where it's at for this game. You don't get accidental hard drops all the time like you do with the pro controller. @60frames-please Haha I think a rank for every single place would be good. Like comedy animals for the lowest (the 100th amoeba!) all the way to cool ones for the top 10! Would give it a little extra amusement if you did terribly haha! The game needs a classic mode. Standard high score Tetris with leaderboards. @OorWullie @hawke770 @citizen_zane Yeah, it works better with the joycons, but I prefer the comfort of the pro when playing in docked mode. 3rd is my highest placing. It's a very addictive game though. I really like it, even if I never win a Tetris Maximus.